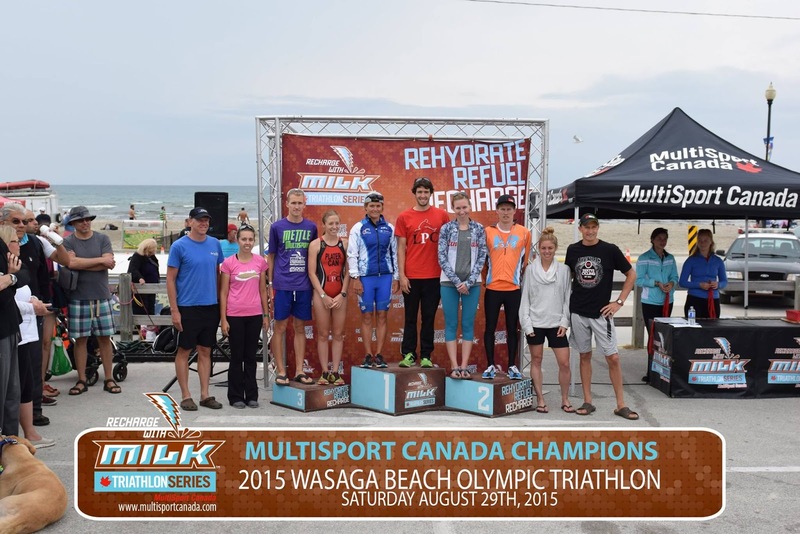 Another great race put on by Multisport Canada this weekend! 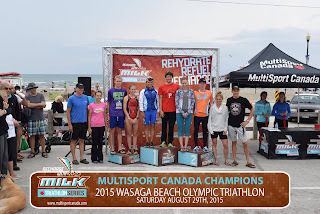 Wasaga Beach was my first tri 8 years ago, and always a favourite location because so many of my relatives live in the area. 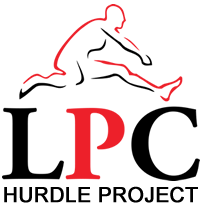 This year it served as Club Championships, and it was great to see so many teamLPC athletes out competing and cheering over the weekend. This was easily the choppiest and most difficult swim I've done in a race. 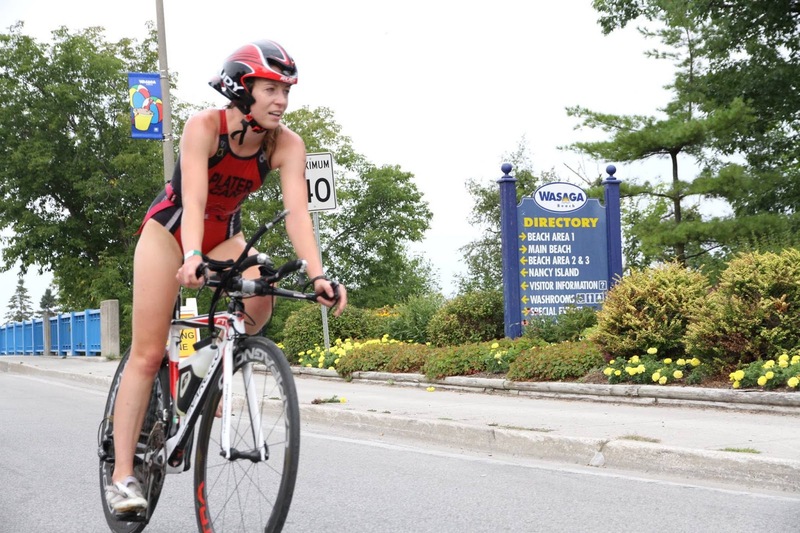 I'm glad I've done a bit of training in windy Kingston so I've at least encountered rough water before, but I wasn't prepared for how difficult drafting and sighting would be when I was also trying to hold a half-decent speed at the same time. 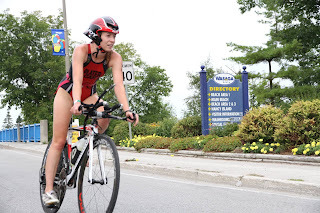 Luckily there was a pretty big group of LPC athletes swimming about the same speed, so I did catch a draft occasionally, but I'm sure I was heading in the wrong direction half the time and I was feeling pretty seasick by the end. The feeling getting to shore was similar to how I'd expect to feel finally getting to port after a long, exhausting trip out to sea. Thrown off by the swim and sitting further back in position than I was hoping for, I jumped on the bike and started pounding right away. 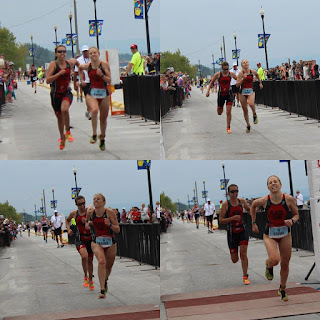 A few minutes in I'd caught 2 girls but quickly realized I was going too fast and slowed down to a pace that was just comfortably uncomfortable. I think after that I was pretty consistent, a strong pace but something I could maintain, despite some uncomfortable false flats and some rough road. Not my worst pain-face ever. But close. Overall I'm very happy with how the race went. I think I even handled those swim conditions okay, all things considered. Last step on the road to Barrelman, now less than 3 weeks away! Thanks to everyone who has helped me along the way: family (so happy to have both of my parents and my Grandma there cheering me on! 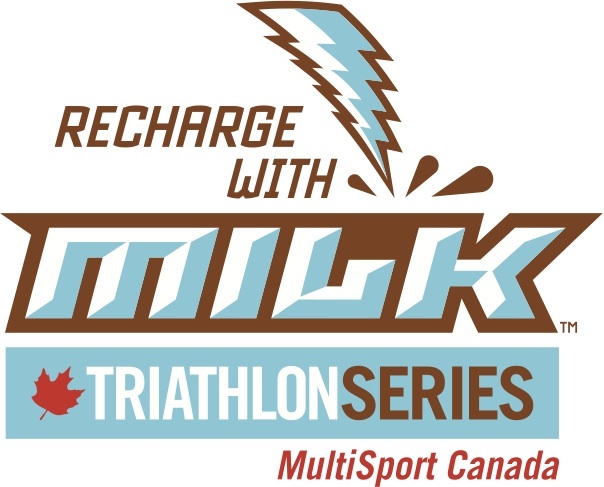 ), friends, MainCycle Hamilton, teamLPC and the Hurdle Project, Multisport Canada/Recharge with Milk and the Ambassador team. Thanks for reading!